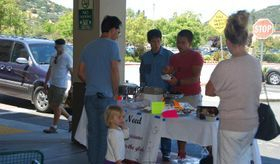 I held a Bake Sale on June 11, 2013 at Montecito Plaza in San Rafael. 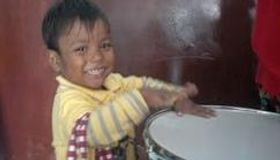 I was raising money to buy a drum set for one of the orphanages in Cambodia. I raised a total of $383.40. 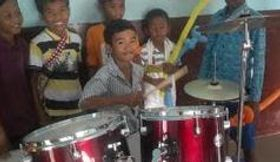 We gave the orphanage whatever left over money there was after purchasing the drum set. Today we went to two different orphanages in Siem Reap. 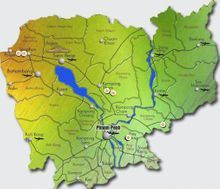 Siem Reap is about two hours away from, Phnom Penh, the capital of Cambodia. The first orphanage we attended was fairly close to our hotel, approximately 25 minutes away from our hotel. We spent only a brief amount of time there because we had to go to church, being that it was Sunday. I played with the kids once more for about 1 hour or so. The kids all love to play soccer. They played with an incredible amount of speed and skill. Their team beat our team of adults. You have to keep in mind that these kids were only 7-10 years old. After we finished playing soccer we left to go to church. The church service was about an hour long. From there we went to lunch. Once lunch was over we drove to the second orphanage. It was about one hour and forty five minutes away from the first one. That is where we brought the drum set. While the parents and adults prayed for the kids, I assembled and played the drums for the children. Some of them were even not shy to try, as you can see in the video. They danced and we played soccer for a few hours before heading back to the hotel. We stayed for a couple hours at the hotel then ate dinner. I went to sleep at around ten o'clock. Today we went to two Christian schools instead of orphanages. Our goal for the day was to have as many people as possible accept Jesus Christ. At the first school, which was 2 hours from the hotel, we taught the little children songs, games, and about John 3:16. John 3:16 basically says that anyone who believes in Jesus Christ will have eternal life. 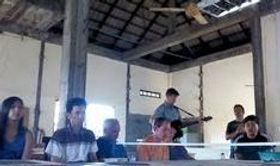 At this school we had quite a success, 21 people accepted Christ as there Lord and savior. We played soccer and volleyball with the boys who had already accepted Christ. Then we were on our way to the next school. The second one was actually a Christian high school. There were no kids around because it was getting close to election day and people went to their provinces to vote for their political parties. Only the teachers and staff were there at the time of our arrival. We prayed for the teachers and staff and went to each room to bless them. Later on it started pouring rain. We went inside and started to socialize with the teachers and gave them money. They needed money to rebuild the school. We were thanked greatly for our contributions. While driving to the hotel I thought about how fortunate and sheltered I am at home. It saddened me to see kids whining about what type of food they eat, when some people don't have food to eat. Later on, we went back to the city of Siem Reap and ate dinner. Then we went to the different night markets until we went to bed. 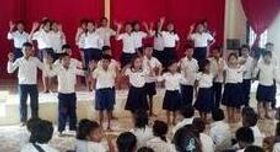 Today we visited two different Christian schools in the Cambodia Christian School Network. The first one that we visited was the Kok Ponley Christian School. We went to each classroom and showed everything from magic tricks, to iPads, songs, and even dances. I participated in the dances which made all the little kids laugh because the space was very small and I was very large compared to them. I also played soccer with the boys. Most of them beat me to the goals and juked me out multiple times. We sung the songs John 3:16 and Joy. There are some clips in the video with these songs in them. We stayed for the whole morning until lunch time. 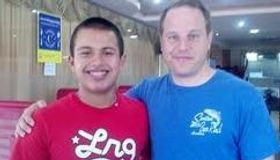 We ate at a restaurant about ten minutes away from the next orphanage. Rongkor School, the next school that we visited, was a college preparation school. They mostly taught English and American History. I asked the reason for this and the Director said, "The reason we teach our students these two major subjects is for them to be able to move and find jobs in America. This helps them create better lives for them selves." That is why the school also teaches financing and money management. Since it was the start of vacation for most students in Cambodia, there were no kids at the time of our arrival. We just talked to the different teachers about the subjects that they taught and the problems that were occurring in the school. Many teachers were having stress problems and hurting joints. We prayed for their spiritual strength and physical strength. A majority of the teachers experience some kind of relief after being prayed for. As we departed, the head of the school asked me and the others in the group to come back soon. He wanted me to come back next year. To end this fairly long and tiring day we ate dinner close to the hotel and went to sleep. Today, our group woke up at around 7:30 in the morning. From there, we went to breakfast and picked up some food for the kids at the first orphanage in Phnom Penh, N.H.O-Kampong Cham's Children's Home. It was the first of the ten different New Hope Children's Homes that we visited. The car ride was about 2 hours. Once we arrived, the kids gave us all a warm welcome by hugging us right after we got out of our vans. First, we introduced ourselves and told them the goals for the day. While the parents and adults prayed for the kids, I joined the other students in my group and entertained the orphans. Some people showed magic tricks and told stories. I had brought some toys for the kids to play with, such as a bowling set and a catch ball set. Since most of these kids have never seen these games before, I taught them how to play. I hungout with the kids for about an hour playing games with them. Then, two 18-year-olds caught my eye. They were just sitting, talking to each other away from the group. Instinctively I walked over and started talking to them. One of them was at the orphanage for six years and the other for eight. I asked them what their interests were, they both looked at me and simultaneously said, "Volleyball." We played volleyball for the next hour or so. But, before we left I pulled them aside. They looked slightly malnourished, so I gave them each ten dollars, looked them in the eye and said, "Get yourselves something to eat, it looks like you need it. One of them got a little teary eyed as he thanked me. Then, it was time to leave. We said our goodbyes, gave hugs, and handshakes. Lunch was at about 1 o'clock. After one hour, we left to go to the next orphanage, which was only ten minutes away from the first one. We only stayed there for about 2 hours because we had to go back to the hotel before dark. I played soccer for almost the entire time with boys to keep them occupied, while the adults were praying for the sick children. After we had dinner near the hotel, we went to the prayer house. We did some worship circles, to say what we were thankful for and what we saw throughout the day. All of us stayed for about one hour. Then, we all went to sleep at around 9 o'clock. Today was a fairly laid back day. We only went to one orphanage at around 2 o'clock. It was about two and a half hours from the hotel. This gave us the option to sleep in until nine thirty. We went to the prayer house at 10:30 and prayed for about one hour. Even though we arrived at the orphanage fairly late, we stayed for almost four and a half hours. During that time we taught the children different songs, told them stories, showed magic tricks, and made balloon animals for them. The children loved the magic tricks. The older kids that were seventeen and eighteen, were amazed and wanted to learned how to do it. I showed them a card trick where I put the card of their choice in the middle of the deck and make it teleport to the second spot. Since, I'm incapable of making balloon animals, created only snakes and hats. But, the kids still loved the balloon "animals" that I created. It was raining today, so we couldn't play outside. We still made the best of our time there. The children were filled with joy with us just being there and spending time with them. I showed the older kids some MMA because Muy Thai was one of there favorite sports to watch. Muy Thai is one of the main components in MMA. They were surprisingly good. They even showed me a few moves. We left at around 6 o'clock to get back to the hotel by dinner time. We ate dinner and then went to sleep at 10:30. We visited one orphanage today and did a prayer walk. First, we went to an orphanage in Battambong, Cambodia. 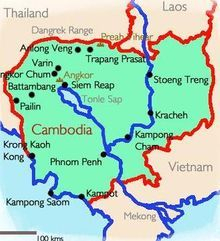 It is a province about one hour away from our hotel in Siem Reap. We did the usual stuff, such as playing with the kids, praying for them, and giving them food. I also played soccer with them, which is the favorite sport of most people there other than kickboxing. After about two and a half hours we left to have lunch in the heart of Battambong. The prayer walk was one of the most interesting parts of the trip. Since it is around the time of their election, my group was in charge of going to the government buildings and blessing the government workers. We stopped in front of the main government building and prayed. The first person we met was experiencing lower back pain and stress from all of the work she was doing. So, we prayed for her two times and asked her how she felt. She told us that her back pain had vanished and that she had a strange calmness go through her body. Right then and there, she accepted Jesus Christ as her Lord and Savior. As we kept walking, we ran into another government worker. Her sister had died in a car crash just two week earlier. We prayed for God to give the emotional and spiritual strength. She hugged all of us, and on our way out, the head of the group, Matt, gave her his email. He said, "Email us anytime you feel like you can't handle the stress anymore." We had dinner in Battambong and travelled back to the hotel. We arrived at the hotel at around 8 o'clock. We went to the night markets again and went to sleep at eleven o'clock. Today was our last day of work before our day of rest in Phnom Pehn. We went to two Children's Homes. The first was called Pursat Orphanage. Here we helped build new bed for the kids. Their old beds were worn down and some were over fifteen years old. Those beds were not meant for high humidity areas. After a while, they just start to decay. After we constructed the new beds we coated them with a humid resistant paint. All of the children were overjoyed when their eyes met the new beds. Once the beds were finished, we played with the kids. I played soccer with the older ones while the other people in my group made balloon animals and told stories. At the last orphanage of this entire trip, I played more soccer and the dance crew showed us a couple dances. You may view them in the documentary. These dancers are the ones that will be coming to San Francisco to preform at our next concert. 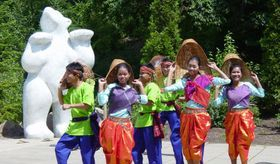 They are a talented group of children whose ages range from 6 to 16. I am thrilled to have the opportunity to reunite with them in the future. A tear came to my eye as we were leaving, I realized that most of the kids in the orphanages we visited will most likely not see me again unless I went back. I hope that I will be able to have the chance to visit these children once more to see what true happiness really is. This is the child from that quote. This trip has shaped my definition of happiness. These children have close to nothing, yet they are still happy. When I asked one of the children if he was content he said, "I may not have many things, but as long as I have my health and my community, I have happiness. I hope to go back and visit those orphanages again to see those orphans with smiles on their faces. This is a documentary I made about the trip. 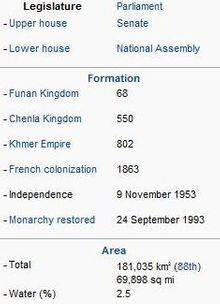 Theravada Buddhism is the official religion of Cambodia, which is practiced by more than 95 percent of the population. The Theravada Buddhist tradition is widespread and strong in all provinces, with an estimated 4,392 monastery temples throughout the country. 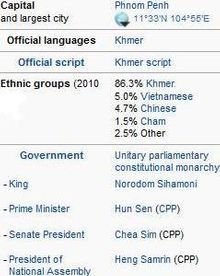 In 2011, Cambodia's per capita income in PPP is $2,470 and $1,040 in nominal per capita. 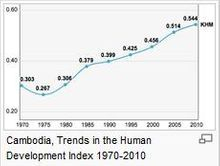 Cambodia's per capita income is rapidly increasing but it is low compared to other countries in the region. 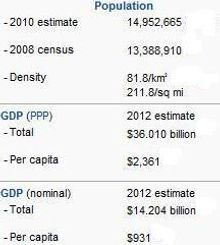 Based on the Economist, IMF: Annual average GDP growth for the period 2001-2010 was 7.7% making it one of the world' top ten countries with the highest annual average GDP growth. 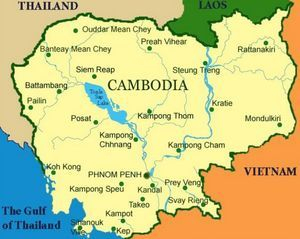 Cambodia borders Thailand to the north and west, Laos to the northeast, and Vietnam to the east and southeast. It has a 443-kilometer (275 mi) coastline along the Gulf of Thailand. 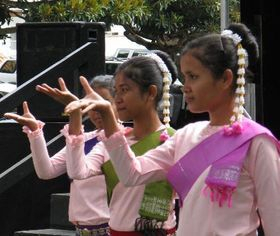 The Cambodian Education System includes pre-school, primary, general secondary, higher education and non-formal education. The education system includes also the development of sport, Information Technology education, research development, and technical education. USAID data shows that in 2011 primary enrollment reaches 96% of the child population, lower secondary school 34% and upper secondary 21%. A severe scarcity of schools and classrooms, particularly in the rural areas, limit the number of children who have accesses to education. 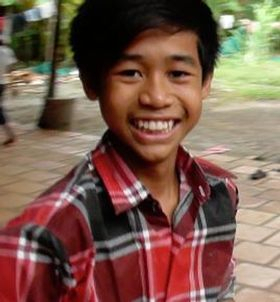 Most Cambodian villages have a primary school but they are not complete and do not offer a full 1-6 grade curriculum. 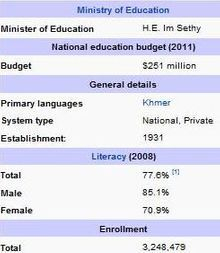 Only 5.4% of Cambodian villages have a lower secondary school and only 2% of them have an upper secondary school. The following table shows that only approximately 14.7% of the population can afford to pursue teritary education. 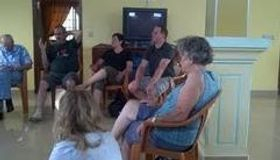 SEAPC has joined with the Kingdom of Cambodia and New Hope Children's Homes (NHO) to form SEAPC/Cambodia, a national Christian organization. From this base, they are responding to the invitation of the King to establish 25 model schools in rural parts of the kingdom. This is happening under the Cambodian Christian School Network. and/or exodus of the highly educated, and this generation desperately needs exemplary leadership. My name is Alexander Berbey. I am from San Rafael, California. I like almost every form of martial arts. I also work for my local church. I went on this trip with a mission. I wanted to make difference in other peoples lives. I believe that trip to Cambodia allowed me to do so.